A former member of Peaches' band (Feist sang on Peaches' debut, The Teaches of Peaches and toured with her to support it). And Broken Social Scene (she sang on You Forgot It In People), Feist has also lent her vocals to works by Kings of Convenience, Apostle of Hustle, and Jane Birkin. No doubt a great accompaniment to anyone's work, Feist, born Leslie Feist, is also a great solo artist, as she proved on her debut full-length, Monarch, which she self-released. She followed Monarch up with Let It Die, which was originally released in April 2004 on Canada's Arts&Crafts label. However, picked up by Interscope in the U.S., Interscope re-released Let It Die in May 2005, and Feist is now touring in support of the record in the U.S. to support it. 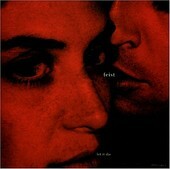 A more-than-capable record of pop dynamics, Let It Die showcases the magnitude of Feist's songwriting. A song like "One Evening" is the perfect late-night pop groove to make you want to settle back - and make love. While "Lonely Lonely" is a desolate, blues-infused acoustic pop song with sparse accompaniment. And then there is the dance vibe of "inside and Out". Or the bossa nova of "Mushaboom", a bone fide hit. The sultry jazz-pop of the title track shows yet another side to the songwriting prowess of Feist. One of the year's best albums, a beautiful, gorgeous collection of soulful, sultry tunes ripe with melody and elegance, Feist has established herself as one of the most delicate, but capable songwriters out there. I'll give this an A.